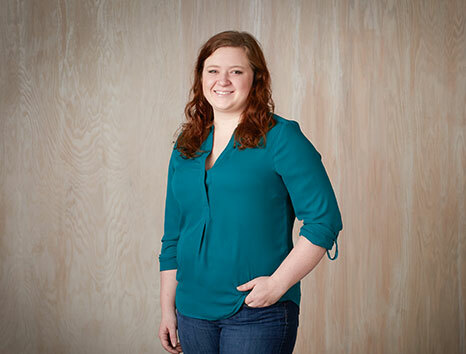 A native of nearby Waunakee, Megan has worked in restaurants and hospitality since she was 16. After graduating from UW-Madison in 2013, she worked for a year and a half as a Food and Beverage manager at The Grand Geneva Resort in Lake Geneva. "I loved it there but was ready to move back to Madison," Megan says. She worked at The Edgewater for a while, but craved the atmosphere of a stand-alone restaurant focused on private dining. Johnny Delmonico's was the perfect home for her. "I love trying new places and seeing new menu ideas. I love trying the new trends in restaurants and bars and putting our own twists on them," says Megan. And the varied trends and twists of a variety of restaurants is what makes Food Fight so appealing to her. "We each have our own style and identity and so, while we get the perks of being part of a restaurant group, we also get to experiment within our space and maintain a unique style and cuisine," she says. Megan also finds the variety of people working in restaurants appealing - especially the variety of personalities. "For some it's a part-time job; for some it's a career. But ultimately, the people you work with in a restaurant become your family, which makes coming to work a pleasure." Clearly she's in the right environment, because what she does for a living is exactly what she chooses to do in her spare time. "When I'm not at work I love to go out and try new restaurants and bars. I also love to hole up in a café and read while I drink more coffee than any one person should really drink."